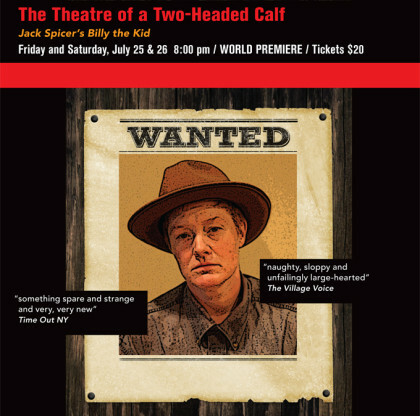 Brooke O’Harra is a freelance director and cofounder of the Obie award-winning Theatre of a Two-headed Calf and has developed and directed all of their productions. Composer and sound designer. Brendan Connelly is cofounder of The Theatre of a Two-headed Calf and a longtime collaboration partner of PearlDamour, an Obie award-winning interdisciplinary performance company. He has received awards from NYSCA, NYFA, the New York Innovative Theatre Awards, and New Music USA. Lisa D’Amour is a playwright and co-artistic director of PearlDamour. She was a finalist for the 2011 Pulitzer Prize for Drama, won the 2013 Obie award for Best New American Play, and is a 2013 Doris Duke Artist.